Author(s) Paul G. Hewitt Suchocki, John A. Hewitt, Leslie A. For one- or two-semester physical science survey courses for non-science majors. 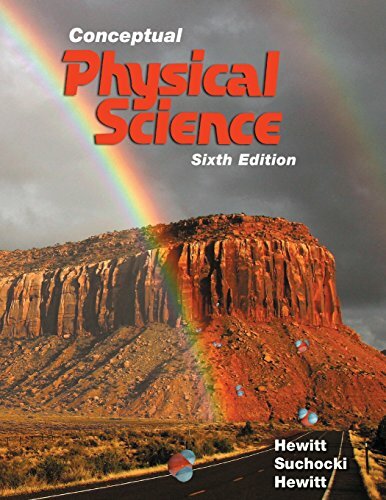 Opening the Doors of Science Conceptual Physical Science, Sixth Edition, provides a conceptual overview of basic, essential topics in physics, chemistry, earth science, and astronomy with optional quantitative analyses. The authors focus on concepts before computations. With its clear, friendly writing style, and strong integration of the sciences, this book connects well with all students. Also available with MasteringPhysics MasteringPhysics™ from Pearson is the leading online teaching and learning system designed to improve results by engaging students before, during, and after class with powerful content. Ensure that students arrive ready to learn by assigning educationally effective content before class, and encourage critical thinking and retention with in-class resources such as Learning Catalytics™. Students can further master concepts after class through traditional homework assignments that provide hints and answer-specific feedback. The Mastering gradebook records scores for all automatically graded assignments while diagnostic tools give instructors access to rich data to assess student understanding and misconceptions. Mastering brings learning full circle by continuously adapting to each student and making learning more personal than ever—before, during, and after class. Note: You are purchasing a standalone product. MasteringPhysics does not come packaged with this content. Students, if interested in purchasing this title with MasteringPhysics, ask your instructor for the correct package ISBN and Course ID. Instructors, contact your Pearson representative for more information. If you would like to purchase boththe physical text and MasteringPhysics, search for: 0134060482 / 9780134060484 Conceptual Physical Science Plus MasteringPhysics with eText -- Access Card Package Package consists of: 0134060490 / 9780134060491 Conceptual Physical Science 013407999X / 9780134079998 MasteringPhysics with Pearson eText -- ValuePack Access Card -- for Conceptual Physical Science Conceptual Physical Science, 6th Edition is also available via Pearson eText, a simple-to-use, mobile, personalized reading experience that lets instructors connect with and motivate students – right in their eTextbook. Learn more.